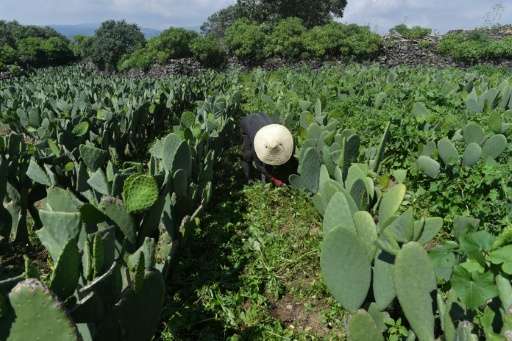 Instantly recognizable with its jumble of spiny discs—its bright red fruit protruding like fat fingers from each one—the prickly pear cactus is farmed on a massive scale in Mexico. 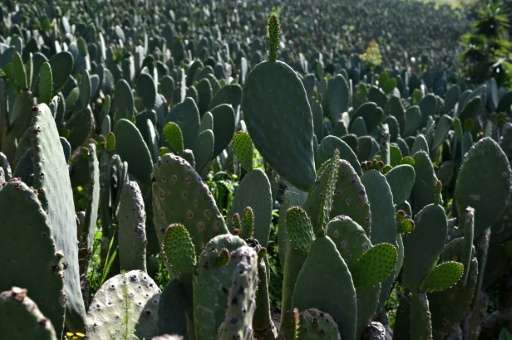 The cactus's thick outer layer, with all those spines, has always been a waste product—until researchers developed a biogas generator to turn it into electricity. 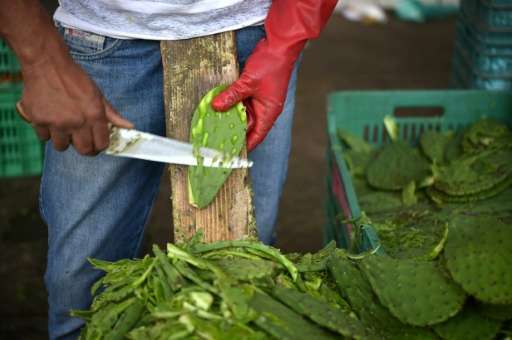 The area produces 200,000 tons a year of prickly pear cactus—up to 10 tons of which ends up as waste on the floor of the cactus market each day. A local green energy start-up called Energy and Environmental Sustainability—Suema, by its Spanish acronym—got the idea to develop a biogas generator to turn that waste into energy. Last year, green energy made up 15.4 percent of its energy mix—though just 0.1 percent was from biogas. Suema is looking to change that with its generator, which will ultimately produce 175 kilowatt hours—enough electricity to keep some 9,600 low-energy light bulbs burning. The generator—a giant silver cylinder surrounded by an intricate web of pipes—churns together organic waste with a special mix of bacteria and heats it to 55 degrees Celsius (131 Fahrenheit) to produce biogas. In Aztec mythology, Huitzilopochtli—the god of the sun, war and human sacrifice—tore out the heart of a treacherous prince named Copilli and threw it into a lake. The first prickly pear cactus supposedly grew on an island in that lake—its juicy red fruit symbolizing Copilli's heart. The story has it that this is where the Aztecs built their capital, Tenochtitlan—over whose ruins the Spanish conquistadors built Mexico City. 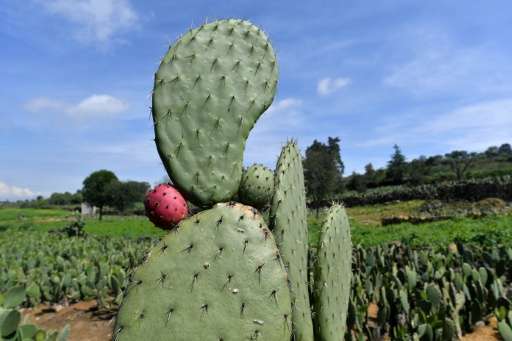 Today, the prickly pear cactus with the eagle eating the snake is a national symbol—so much so that it appears at the center of Mexico's green, white and red flag. Nopalitos are really good to eat, too. Y un paysan del Estados Unidos de Americanos said that.